The tiny town of Tyalgum is cradled within the majestic mountain walls of the ancient Mt Warning Caldera. This historic little village is overflowing with country charm and character. What was once a remote timber town has now become one of the Northern Rivers most popular day-trip destinations. After a beautiful country drive, you will be delighted to find a township of quaint old buildings, all lovingly restored and transformed into a unique collection of shops and an extraordinary cafe. As you turn into the main street you will see the original Tyalgum Pub and across the road, the old Norco Butter Factory built in 1913. 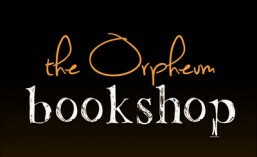 Diagonally opposite, you will find us at The Wonderful and Incomparable Orpheum Bookshop, right next door to the stunning Osiris Jewellery studio & also Paddington of Tyalgum, a fabulous gift shop that was originally a billiard room. The Tyalgum General Store and Post Office houses a fascinating collection of memorabilia and in 2008 celebrated 100 years of trading. It also holds Tyalgum is My Tuscany under it’s wing, a very very sweet local art gallery and gift shop. Flutterbies Cottage Café was the town bakery back in 1926 and is still the heart and soul of the village. Here you can take in the beautiful view from the front verandah, enjoy the old world charm of the tea room, or relax in the lovely shady garden area out back. Follow the pathway through the garden and you will find yourself at Earth Heartbeat, Tyalgum’s very own eco shop, brimming with original and many locally made products to support our precious planet. The Little Shop Next Door at the front of Flutterbies is without doubt one of the prettiest shops around, women regularly swoon in this little slice of heaven. Surprisingly it was originally the town butcher shop in the 1930’s! Wherever you find yourself here, you are sure to enjoy a treat. People come from far and wide for a homemade country pie and the authentically crafted, fresh pasta dishes have their own following. Of course Flutterbies is famous for it’s award winning Flutterbies Cakes. These are lovingly made from a secret recipe handed down from a dearly treasured Grandmother. There’s literally nothing like them anywhere in the world! By this stage, you’re sure to be wondering about coffee. You’re probably thinking that in such an amazing town as this, there must be exceptional coffee? and in fact, tucked into the very centre of Flutterbies Cafe is the jewel in the crown of coffee everywhere – Flutterbucks. The coffee at Flutterbucks is hand roasted, hand blended and organic! Flutterbies has its own delicious custom made signature blend, but there are several other exotic boutique blends on offer if you’re in the mood to try something extra special. Friday nights here are a lot of fun, with live music and gourmet pizza and yummy cocktails. In winter, the fire is crackling and in the warmer months the fairy lights twinkle and play in the garden. If you’d like to stay awhile, Celestial Dew is the gorgeous bed and breakfast right next door to Flutterbies. Complete with historical train carriages in the back yard, the funky Tyalgum Village Market is held here on the last Saturday of each month. 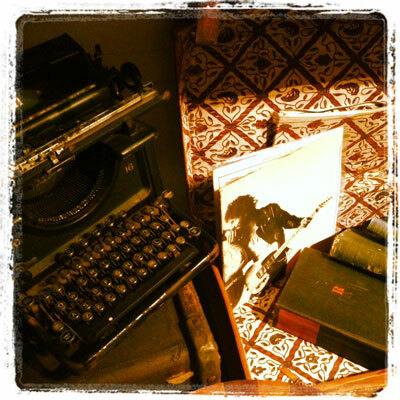 Here too, the Tiny Shop of Treasures is full to the brim with antique and retro curios. Also next door is the lovely Little Ardanari Salon, part of the Tyalgum Wellbeing Centre. Wander through the pretty courtyard garden leading to the raspberry door and into the quaint beauty room where you will find the heart of relaxation. After one of these unique treatments, you will step out shining, looking radiant and feeling altogether new! The town’s most famous historic building is the Tyalgum Hall, built in 1908 as the grandly-named Tyalgum Literary and Mechanics Institute. In the early 1990s, two classical violinists noted the hall’s incredible acoustics and invited some of their colleagues here to perform. That initial gathering of musicians turned into the acclaimed annual Tyalgum Festival of Classical Music which celebrated its 22th anniversary in 2013.